The excitement, buzz about fat tires and wheels was happening at NAHBS with bikes like this from Peacock Groove. See more of this bike in their video, starting at 1:40. Also see what Sandman is doing in this video. 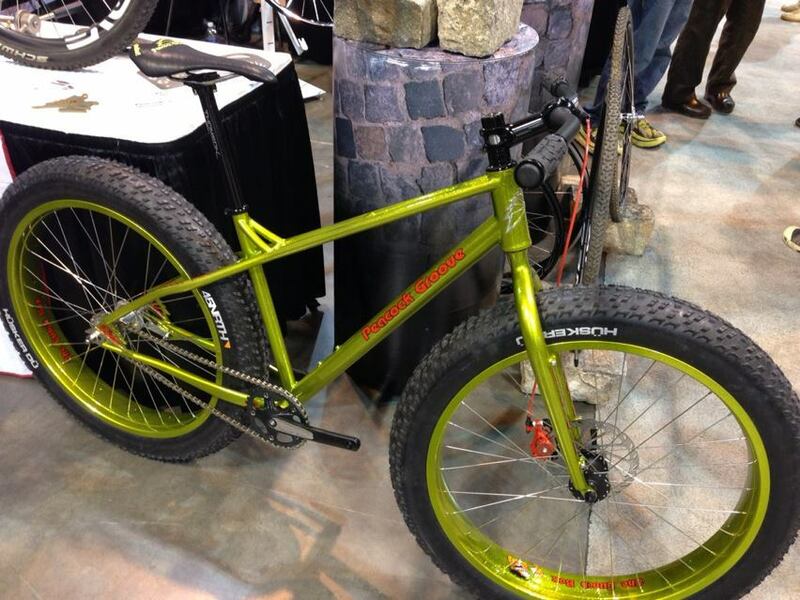 That’s the Fat Bike I wanted on the single track in the snow: high performance, all terrain.